The 22nd China International Pet Show (CIPS’18) was held in Guangzhou from Sept. 27 to 30 2018, with 1,384 exhibitors from 29 and 60,408 visits from 90 countries/regions, covering 130,000 m². This show has released some future signals. 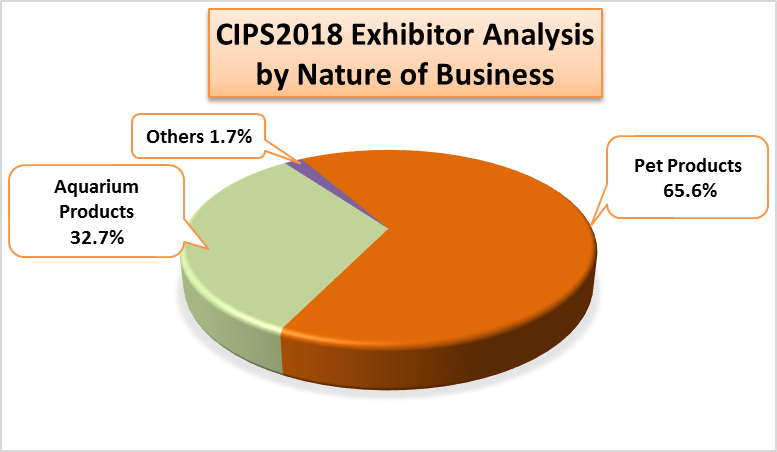 On CIPS’18, the top ten exhibiting companies are from China, Taiwan, South Korea, Hong Kong, Germany, India, Italy, USA, Japan and France. 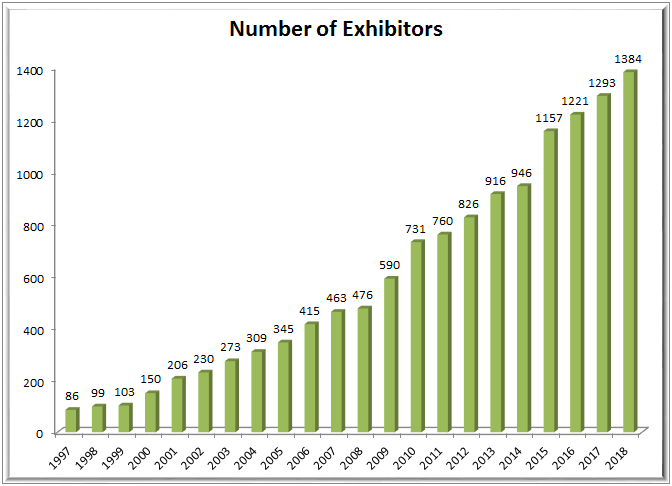 A total of 189 companies (14%) came from outside mainland China, while the remaining 1,195 domestic exhibitors account for 86%. There are 10 country pavilions on CIPS’18. The leading three exhibits’ categories are toys, cages and food in pet section, and tanks, accessories and feed in aqua section. 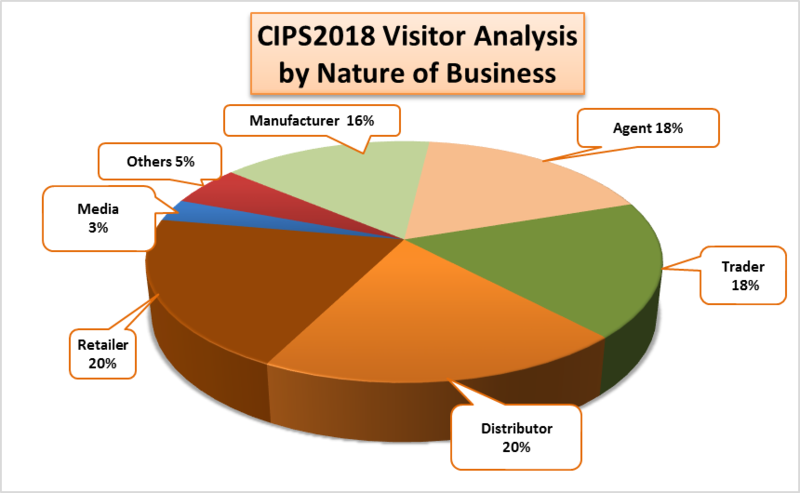 Visitors to CIPS’18 came from 90 countries/regions, with an increase of 11 compared with 2017. The visits totaled 60408, no obvious change from last year. Domestic visitors covered all provinces in China. 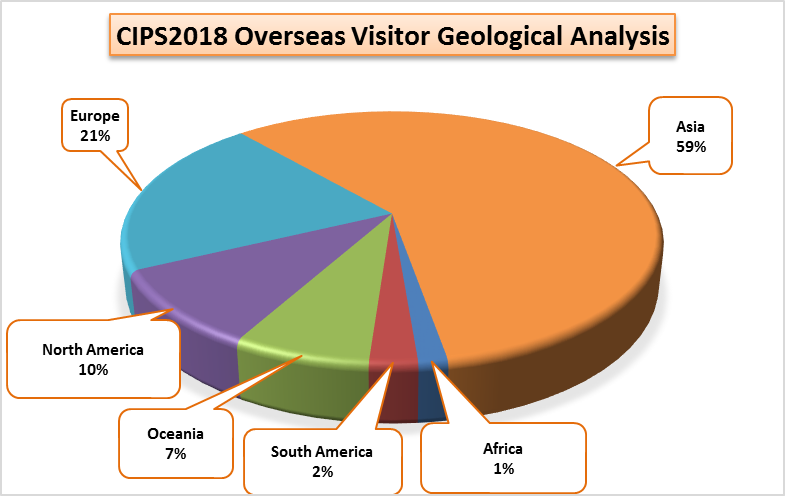 There was a slight decline in South America visitors and increase from Oceania with the remaining continents being stable. 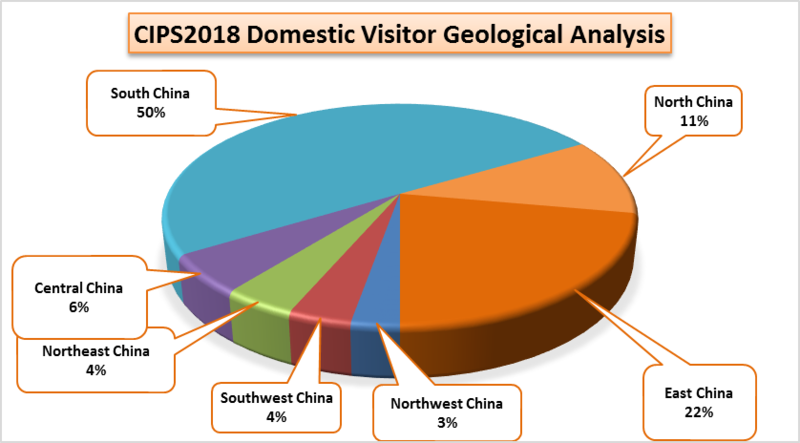 The top 10 overseas visitors are from Hong Kong, USA, South Korea, Japan, Taiwan, Australia, Thailand, India, Russia and Indonesia. This is the first time Thailand, India and Indonesia entered the top 10 visitor list. CIPS is the sole B2B platform and gateway into Asian markets. Usually buyers may put 70% to 80% of their annual order from Chinese manufacturers on CIPS. In 2018, CIPS divided different zones and released online wechat guide. Most visitors commented that they spent less time touring the halls, but more time on business meetings. Innovation is the key effort for CIPS’18. CIPS are honored to invite 16 industry experts from 11 countries as the judges group. After their independent evaluation, 19 companies have been granted CIPS Innovation Awards on five categories of Pet Food, Pet Accessory, Aquarium, Small Pet and Design. 96 companies won the title of Innovation Stars, 62 companies presented their 2018 new products in themed zone, more than 300 new products information has been released before the show and some have been released to the consumers by social media celebrities through their live cast on show site. Smart products attracted much attention on CIPS’18 as well. A total of 19 companies showed 50 smart products in the themed Smart Zone. In pet section, smart products have expanded from feeding and water fountains to GPS tracking, training and even robots. In aqua area, monitoring and adjusting systems are popular, while automatic water change and feeding systems are widely applauded. The trend is from single smart product to the creation of smart living environment for pets. China pet industry’s booming growth in recent years captured the eyes of capital investors. During GPFA, Pet Investment Forum was a great success, featured 26 speakers, who are key players in both investment and pet fields. The cross border of pet and aqua, international and domestic markets, OEM and ODM, online and offline is blurred. China’s position in the world pet industry is not only a manufacturing center, but a huge market as well. 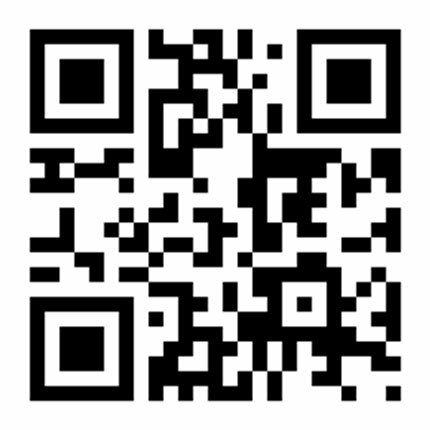 Chinese manufactures make more efforts in design capacity, and get more conscious in brand promotion and marketing now. In 2018, 63 companies have been granted prizes for manufacturing and selling Premium Products of the same quality both in international domestic markets. 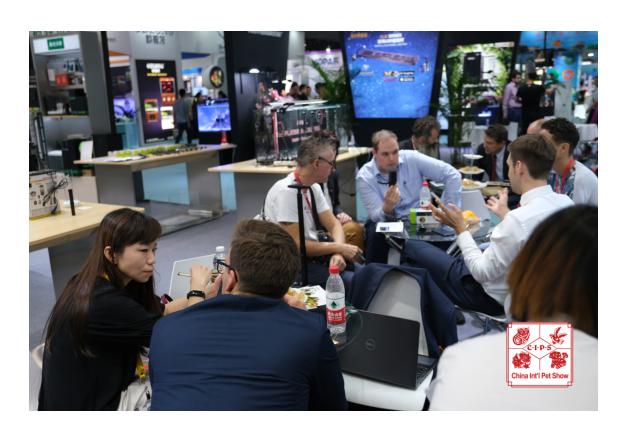 In the aqua field, CIPS is building up a worldwide platform gathering manufacturers, hobbyists, breeders, clubs, associations, and media. CIPS Global Ornamental Fish Championship has expanded from 16 categories in 2017 to 20 categories in 2018. First Biotope Contest is widely applauded by the industry. The aqua section has attracted about 3 million views online. During CIPS Golden Finger Grooming Competition, 63 individual groomers and 21 teams competed in two days for top individual groomers and teams. 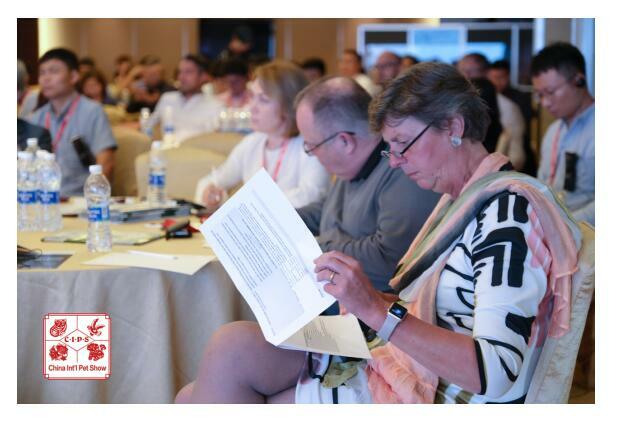 During China Import Pet Feed Policy and Regulation Symposium, the audience has received an update and detailed explanation in China’s latest changes in import policies. 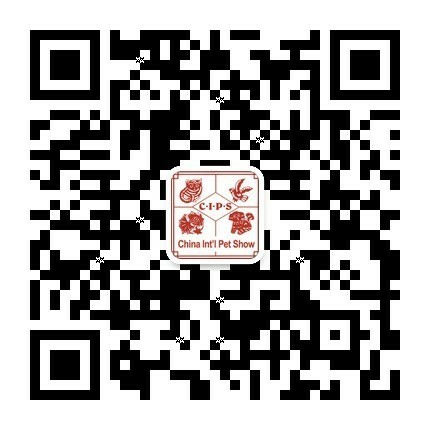 The 23rd China International Pet Show will be held in November 20 to 23, 2019 in Shanghai, “CIPS is the best sourcing platform for the global pet industry, and an ideal bridge connecting the growing Asian market. CIPS is also strong for innovation”, says Ms. Yang Cheng, General Manager of Great Wall.